The North Face Red Box tee. 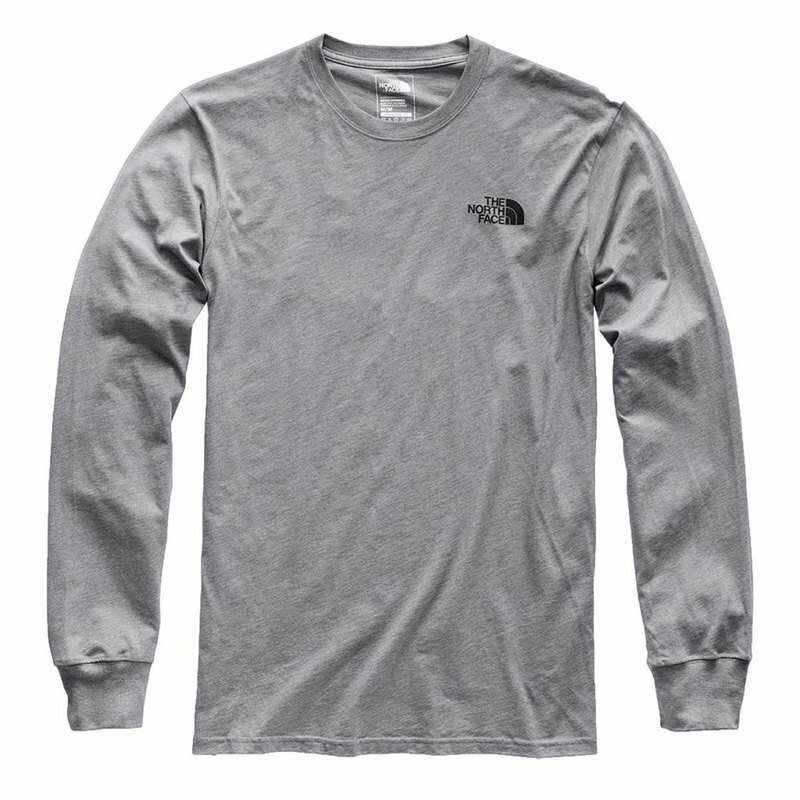 North Face logo graphic screened on the front left chest. Large North Face graphic on the back with text "Never Stop Exploring."